Canon 5D Mark II soft focus due to camera or lens? I reviewed the new 5D Mark II back in October of 2008, and my decision back then was to wait until they’ve worked out the bugs. It looks like I did the right thing. I’ve been hearing quite a bit lately about focus issues with the camera. It looks like it can’t focus properly. It’s slow to focus, and when it does focus, the images are soft. 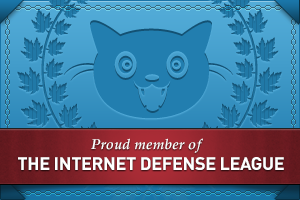 See this blog post for an example. I’m still not sure what lies at the root of the focusing problems. People are comparing photos taken with the 5D Mark II against photos taken with the original 5D, but it’s sort of like comparing apples to oranges. To compare images accurately, you’d need to first downsize the resolution of the images from the 5D Mark II to 12.8 megapixels, to make them equal in pixel depth to those that come out of the original 5D. I have yet to see something like that. I think what’s going on here is that we’re seeing either the limitations of Canon’s 9-point AF system, or the limitations of their lenses, and this is due to the sensor’s increased megapixel count. In effect, all those extra megapixels have run ahead of the camera’s AF capabilities. It’s like a bodybuilder who’s got huge muscles but hasn’t trained his joints. His tendons have remained weak, and sooner or later he’ll tear something. The thing is, I’m getting soft images with my original 5D, and I get them quite often. Sure, most of the images I get are in focus, but I bet you that if my 5D were able to output 21 megapixels of resolution, those same seemingly sharp images would be just as soft as those that come out of the 5D Mark II. It could very well be that the 9-point AF system can’t focus properly. It’s just not that good, and its focusing limitations are seen quite well at higher resolutions. In that case, I have a feeling that the 16 megapixel images that one can get with the EOS 50D would also show some soft focus issues. They wouldn’t be as apparent as those found in the 5D Mark II, since there’s a bit of difference between 16 megapixels and 21 megapixels, but they should be there. It looks like some people are noticing a soft focus with the 50D, so there might be something to my theory. On the other hand, it could be that my lenses, and the lenses of these people complaining about soft focus with the new 5D, need to be sent in for calibration. There certainly are tons of complains about soft images gotten with Canon lenses of all kinds — that’s nothing new. Who knows, if they and I got to send in our lenses, and they got properly re-calibrated by knowledgeable technicians, the images would be sharper. So there you have it. I’m not sure what to think. I’m leaning toward the side that says the 9-point AF system needs to grow up, but I’m open to suggestions. Perhaps Canon ought to license the 11-point AF system from Olympus. They put it in their E-3 DSLR, which came out at the end of 2007. It’s supposed to be the fastest and most accurate AF system on the market, and it’s meant to work well even in low light. After all, let’s face it, both Canon and Nikon have borrowed the Live View concept from Olympus — they were the first to come out with it. Why not borrow the AF system as well? I recently purchased a 5Dii. Same issues here. Most of my shots are soft. Some shoots are completely soft (no focus anywhere in the photo) even at a F/16, 200 ISO. I heard and always knew Canon was “softer” but this doesn’t seem right. I thought I was going to be impressed with the 5D but I’m not. I’m also getting a bad vignetting effect. Yes, I understand the more the lens is open the more vignetting, but even with the “Perph. illumination ” set to “on” I’m talking a Holga effect here. Unacceptable. OMG! This is my problem too! I am disgusted. I may be a lucky guy from having no issues with focusing…actually I did have some issues but I discovered it was due to camera settings in addition to the AF-ON button layout on back of the camera. I kept having out of focus images. Canon should think of moving that button. I have been so frustrated with my cameras this past year! I am so happy to finally have validation! I have a Canon 5D and 5D Mark II and they both are having issues with focusing. I have also been having issues with a couple of my Canon lenses. Every time I send them to Canon they make me pay to have them repaired. BS customer service for nearly 10,000 in equipment. I am seriously considering Nikon. (F-1, EF, AE1 x2, AT1, AE1 Program, T80, T90 x2, EOS 650, EOS 620, EOS 10D, EOS 20D and EOS 5D Mark II) My next camera will be a Nikon. Just spoke to a wedding photographer who was using a 1D III and a 5D original on the job. I aked which he prefers. he tells me that the 5D gives a softer picture and the 1D gives a harder picture. So here is the answer from a Pro. Canon EOS 5D Mark II has a stunning 21.1-megapixel full-frame CMOS sensor with DIGIC 4 Image Processor, a vast ISO Range of 100-6400, plus EOS technologies like Auto Lighting Optimizer and Peripheral Illumination Correction. It supports Live View shooting, Live View HD videos, and more. Would you please help me figure out? I am glad I am not the only one with these issues. this camera is a true POS. I had mine for two weeks, the most inconsistent camera I have ever had. the 5d it replaced was a gem, and I wish I would have kept it. NO worries, stepping up to a 1ds2 instead. Sold my 5D2 last week after 1 month of testing. Blurred, soft,.. cant live with that. Bought a D700, and every picture is spot on. I really mean e v e r y picture ! I read an article in another website. I too felt bent out of shape after dropping 25 bills. I am going to shoot a bit more and see if Im the dumb photographer or the camera. Same here too upgraded from a 20D to a 5D MII. I freaking waited up until this past Monday to finally purchase one. I ve uploaded my first images. My 8 year old took most of the images and I snapped about four. The burning wood I snapped those photos as I was coming back to my home. theres the link to any fellow photographers looking into purchasing this camera. I bought this from BH for $2500 comes with a free bag and two 4gig cards. Pup is my staffy bull show pup. Hi again. This is a followup to my 5D2 going into Canon for the 4th time due to ttl AF not focussing correctly on stationary objects. Well, they replaced the camera with a brand new one 2 days ago, and it even has the current firmware loaded on it(old camera has 03xxx etc sn, new one 11xxx etc sn). The new one is better that the old one at TTL AF, but still far from acceptable for my shooting needs. So, I am putting the whole system up on ebay(the camera body will be sold as the new replacement that it is with a picture showing the onvoice that it is new and why it was replaced). I am going to rent the nikon from one of the on-line rental companies so I can pick the camera that is right for me, but I feel I will have to wait to late fall or winter when the D700x(or comparable) comes out. Means my just starting business is completely shut down(I work in medical imaging so I still have an income). Canon has lost a customer for life with all this nonsense with the TTL AF on at least this model. I will never buy or suggest someone else buy their cameras. Their lenses are great, not sure what happened here. YMMV, etc. Have to add to the above , for fear of having sounded too unalloyedly critical, that Canon has customarily provided excellent service, effective and efficient. And they keep you informed of the whereabouts and status of your equipment. I’ve just gotten 5D II back from Canon for second time. Sent it in first time shortly after buying it because of focus problems – Was it me? Was it the camera? (This was actually the second 5D II – returned the first one to vendor because of image fuzziness and because of the fact, Uh Oh, that inner Canon box as well as outer shipping carton had a corner, same corner, bashed in.) Sent this camera back to Canon a second time because soft and/or off focus persisted and also exposure comp couldn’t be set by Big Wheel (Quick Control Dial) with power switch in high up position. It’s been very frustrating, especially since the dearly departed 5D was truly a gem (cue in ‘Lament for my 5D’). I’ll be testing the camera the next few days – almost reluctant to do so for fear of disappointment. The repair report, written in Canon Cryptic, said that they had examined the camera in accordance with my request, and “upon close inspection the exact cause (for the exposure comp setting issue) could not be identified but it was found that the dial could not operate properly from time to time. The internal component was replaced. Other electrical adjustments, inspection and cleaning and parts replacements were carried out”. This sounds promising, though vague. // What doesn’t sound promising is the boilerplate disclaimer that the repairs on this essentially brand new camera – and they were happy to take my painfully scraped-together dollars – were being carried out as a courtesy because ‘The problem necessitating this repair is not covered by the limited warranty for your product”. Never mind that ‘the problem necessitating this repair’ was never actually identified. Well, I too have struggled with the focusing on this camera. I have shot with a 20D for several years before upgrading to the 5D II. I am not a professional photographer so I initially thought I must be doing something stupid but after two different shoots I found some in there that showed the AF-point highlighted yet the camera back-focused. During a soccer game, it was painfully slow focusing. I am in the middle of running some focus tests and trying to use the AF-micro-adjustment feature to resolve the problem. I must say, my impression of this camera is not a good one- particularly considering it costs ~$2800. Reading these last few comments has me wondering if I should throw in the towel in this camera as well. Did get my camera back from service and have gotten SOME in focus images. But still missing by a few inches on tight stuff like eye lashes, getting forehead in focus…. @f/5.6 #$%!!! May try the lens calibration thing with a ruler. I hate when my photography starts to become science. The idea of sending the camera back to Canon a second time is fatigueing. As much as I want to work with a camera of this size, it may be time to step up to a 1 Series. I just know if I do, that camera will only see work situations and not be carried otherwise. i gave up in the end and sold the 5d mark 2 and went back to my 40d. gonna wait to see what is coming around the corner as at this present moment in time the only cameras in the canon line up I fancy are the 1ds mark 3 and 1d mark 3, but out of my price range. I briefly tried the nikon range but, although they feel nice in the hands and good iso, I am a canon man. Shame as the 5dm2 had great resolution, but all that counts for nothing if all your shots are blurred. I sent mine in 3 times and finally got them to replace the entire af system. Worked like a dream for just under 1000 shots, the crapper out on me out of the blue. Nothing in focus AGAIN. So frustrating. They will be getting a letter from my attorney when I send it back again. Hi Raoul! Canon finally did accept the camera back to be serviced, for the 3rd time(got there friday). I posted this issue on Photo.net and got an interesting answer: One of the members there said try using the AF area just above the center one ONLY, and take 10 shots, then do the same for the one just below the center one. The verdict? IT AF’ed perfectly doing that, no surprises, just perfect focus(1 was a little soft out of the 20 shots done, might have been me). That member’s theory was that when you use a f2.8 or larger lens on the camera the center AF area goes into precision mode and all my primes fit that analogy. He felt something is wrong with that AF area as it rarely ever has problems with my f4.0 or higher lenses. Just weird. I did find a canon support person – Randy – who asked me to take some more pics then e-mail them to him – and he believed me after seeing the pics and talking on the phone with me for an hour. That’s a first after being blamed and being called stupid by other support people. I will let you know if this issue is fixed this time, and I pretty much demanded that Canon replace the AF sensor, or the camera. Hi to everyone. I am still having problems with my AF on this camera, even after it going to Canon twice. It just will not AF properly at longer distances. Using the center cross sensor only, in one-shot mode, it has a focus of around 50′ from the camera, when the area focussed on is around 1/4 to 1/2 mile away(IE a stand of trees with no other object in the way for the AF to mis-focus on). Canon keeps harping on me to use f8 or smaller to get rid of the problem, but with(for example) my 50 f1.4, there are times I need f2.8 to control DOF and blur the foreground. It seems they are trying to say use f8 to cover the problem with the DOF(it does this on almost all my primes: 28 f2.8, 35 f2 and 1.4, 50 f 1.4, 85 f1.8, etc.). They are supposed to e-mail me again on monday after I shot side by side pics at f2.8-5.6 using the TTL AF vs Live View AF(the live view AF is always right on the money). Any ideas? David, it looks to me like they’re either stalling for time or trying to brush you aside. Using f/8 or smaller to cover up for bad AF is NOT an acceptable solution to the problem. You should be able to use your new 5D Mark II at any aperture you please. After all, you didn’t pay them only $1,400 for half a camera. You paid full price and you should be able to use the entire aperture range of your lenses and expect the AF to work properly every single time. back to d700 save me! I guess misery does like company. I, too, have a new 5D II and like most coming from a 5D. I was soo excited to receive it and have been shooting to only come back and question myself if I have been doing something wrong. All my images are out of focus, no point of sharpness anywhere. It has/had me puzzled. I was aniticipating being blown away by three dimensional depth of field quality but my old 6 meg camera’s images look sharper to me. That’s infurating to put it mildly. I only own top-notch L glass that gave me magical images with my original 5D, so I couldn’t imagine it’s the lenses. So like some others here, I shot on a tripod to rule out camera shake and to my frustration, still not sharp!!!! I shot two jobs recently that I did everything I could think of to help aid the camera in having enough shutter speed, stability and still not a sharp image at all. Did what I could in Photoshop to sharpen but very hard when there is NO POINT OF FOCUS THAT IS SHARP… INSANE!!! I hesitated to upgrade when the 5D II came out and waited in case there were some kinks that needed addressing. Apparently didn’t wait long enough. So did a Google Search about this issue to come across other unhappy users like myself with the exact same issues. So I guess I’ll be contacting Canon on Monday to send in my camera. This is a real black eye for Canon! Heinrich and others that tested: how did you test it ? Wide open and in the zoom extremes ? I noticed that with the 70-200 2.8 L (without IS) I get more problems. But, still… I have to test it deeply. Did you notice differences shooting with different lenses ? The Canon 5D MK II has focusing problems – period!!! Thanks for posting these blogs because I thought i was going crazy! Review I wrote that Canon hasn’t posted on their website!! I know this will sound strange but I love this camera but it’s going back to be exchanged tomorrow! I’ve used it for 28 days (50mm 1.4, 24-105L 4.0, 85mm 1.8, vertical grip, 580 EX II) and made the mistake of assuming this product would work as advertised, but in the real world electronics don’t always work. I’ve done several photo shoots and two weddings, at first I thought it was just me being too overzealous trying to be creative and not taking my time focusing – but a steady pattern began to develop. Close to 50% (30%-50%) of the shots were out of focus. Finally yesterday (5-24-09) and today I did extensive testing on a tripod using the 10 sec timer and ended up with the same 30%-50% shoots out of focus. I am hoping this is an anomaly and my replacement camera will work but unfortunately I found on the net that several people are reporting the same thing, “focus problems.” Others are saying they have no problem at all so it could be just a bad batch or a particular production plant (who knows). What is for sure is that when it works it’s unbelievable and the video is incredible also (high quality short clips is all I need for advertising and this more than fits the bill). Plus, word is out that a free firmware update allowing you to shoot in full HD using manual exposure controls including ISO, aperture and shutter speed will be out in June. I say it’s worth the try, be mindful and test it thoroughly (tripod w/timer) before the exchange period ends and make sure it is focusing and giving you the photos you deserve after spending this kind of money. I don’t want to go to the Nikon D700 but if the problem persists – I need a camera that works and produces usable professional results – my customers demand it! I thought I would come back and update. Pedro – it took about a week for canon to repair. I was informed the AF mechanisms needed to be repaired and that no parts were necessary. I got mine back from Canon, worked PERFECTLY for a few hundred shots, I was thrilled. Nailing focus, crystal clear. Then out of nowhere it completely crapped out on me during a session. Every other shot was out of focus, it would look fine on the LCD but when I got home to download, everything was fuzzy. It wouldn’t focus and it would search and search in areas of low contrast. It’s going back to canon again. So frustrating! I´m also having some problems and still need to do some more testings. But anyway, I´m thinking about the worst case, that would be sending it to repair. How long did it take to be repaired ? I just sent my camera to Canon repair service after 3 months of frustration with the soft focus that I’ve been getting. I had tried micro-adjustments on all my lenses, various camera settings, and updated the software as well. I also have a 40D and the pix I get are very sharp with all my lenses. I got it back today and the pictures are as sharp as they could be! Apparently there was a problem with the AF apparatus. They did some adjustments to it to repair it. I’ll need to do more tests, but I have a feeling the problem is solved. 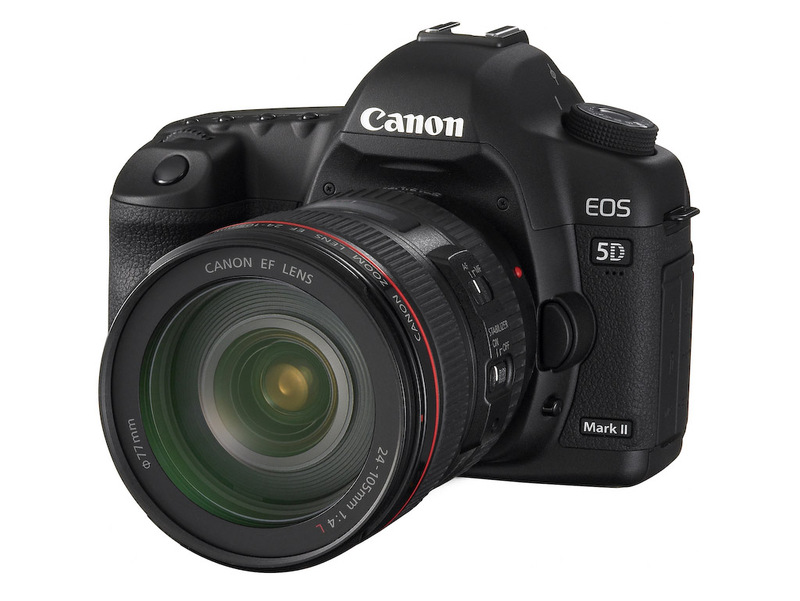 May be Canon has more “defective” 5D Mark II cameras than usual for some reason. Or they know something that they are not telling us. Some users are extremely happy with it and others want to throw it out of the window, which I was about to do until I sent it to repair. nathan – great to hear you are happy with your new camera! wonderful of them to do an exchange for you too. i would recommend taking more test shots though. with mine, i had one great session, approximately 300 pics, no problems and after that it went downhill quickly. i sincerely hope this is not the case with your new camera, but i am posting this in case you have a certain time frame to return this camera, you can do adequate testing before that time is up. best of luck! I purchased my new 5D Mark II a few weeks ago and noticed that I was also getting focusing problems. Being a fairly professional and regular user of the original 5D I couldnt work out what the problem was. I do alot of outdoor portraiture work and found with the 5D Mark II on a number of occasions that despite a number of shooting programs and options even when the autofocus point is pointed at the subjects head the whole photo came back blurred. I checked the settings and even at ISO 400 with f8.0 and a shutter speed of 1/250sec I was still getting out of focus shots. I found this to be very very odd and not something I had experienced with the original 5D. You will need to do a proper 1:1 view on this. My 5D Mark II also suffered from crashing when shooting in Full HD mode even though the Scandisk Card was Ultra III and I also had issues with the metering where I sometimes had photos which were bleached out. I phoned my camera shop where i purchased it and explained the problems and they contacted Canon. A day later the camera shop (Walters in the UK who I highly recommend) offered a full replacement with no debate or the usual bull you get from some camera shops. I went out today and did a series of test shots with a test subject and all shots came back fine and no focusing problems using the same shooting conditions as I used above. I found that the metering was also far better under a number of test conditions so perhaps the focusing problems arent down to user error in all cases and may be a sign that there is a problem with this camera. I have a feeling for those people who know how to use this camera and are having focusing problems then my advice would be to contact Canon or the place where you purchased it and ask for a replacement or to have it checked with Canon. This link below shows the shots I am now getting back on my replacement 5D Mark II so fingers crossed this may have solved my focusing problems. Notice how the subjects face is very sharp and in-focus compared to the previous shot even though the f value was 4.0! Hmmm so after taking around 20 test shots all of them came back perfect. I wonder then is it user error or is there a problem with the 5D Mark II that Canon is not being honest about? i too find most of my images not pin sharp, my old 40d seemed to do a better job. i thought this was either my lenses or camera body. I read alot about focus problems, but they were not that bad. eventually i turned of noise reduction in custom functions, this gave me a noticable sharper image. I will continue my tests, but I think this is the culprit so check your settings. Yikes! Hope Canon straightens things out for you! Let me know if you see any change for the better once you get it back. I have the 5DMarkII and am sending it in to canon. It’s bad. Really bad. Unusable. For almost $3K, I ought to love it. I have a 5D and my shots are just fine with the same lenses. This is what my MarkII is producing: http://www.flickr.com/photos/24425706@N03/3386814794/ about 80% of the time. On the other 20%, it is either forward or back focusing. So frustrating. I’m hopeful that sending it in with my lenses for calibrating will help, they are all being shipped out tomorrow. I have my 5DII for a week now and on day 1 I noticed focus problems. It’s not clear to me either. sometimes I get what I expect ( http://www.netdust.be/foto/5Dtest/sharp.jpg ). no complaints about on that pictures sharpness ( 50mm 1.2 lens ). but sometimes it seems the lens suffers from backfocus, same lens ( http://www.netdust.be/foto/5Dtest/backfocus.jpg ) . As you can see that image is no way near as sharp, but if you look at the blond hears on the left on the face… those might be sharp. most of the time i need to really search for a sharp spot and it seems that the af just doesn’t cut it. if the light is dim i can forget it, no sharp images. Yeah, I’m not sure if the microadjustment feature can solve all of the “soft focus” issues. I’ve had my 5DmkII for a little over a month so far and haven’t really had the time to test it properly for focusing issues, but I haven’t noticed any problems with it. The focusing mechanism is a bit on the slow side, but the accuracy has been good. Maybe I’ve simply been lucky with my lenses. And I meant to say that the soft focus issues are most likely _more_ apparent with the 50D than the 5DmkII in my first point above. – The pixel density of the sensor in the 50D is nearly double that of the 5DmkII (4.5MP/cm3 vs 2.4MP/cm3), meaning that soft focus will more likely be apparent on the 50D than the 5DmkII. Thanks Ville. So then it does seem that it’s the aging 9-point AF system that’s to blame for the soft focus, right? Although if you read through that blog post I linked to in the first paragraph, it seems like the microadjustment feature doesn’t really help with the soft focus — unless it’s the AF system itself that’s to blame. I do wish I could hear from more 5D Mark II owners about this or see the issue firsthand, although I’m not willing to spend $3,000 just to experiment with it myself. I have to disagree about the micro adjustments. I nearly ruined four weddings this year dealing with the inconsistent auto focus of the 5D Mark II even after sending in my lenses and camera for calibration. I was told they did “electrical changes as well as hardware adjustments to the entire auto focus system”. Before sending it in I did the micro adjustments and my test results showed razor sharp images. Once I was in the field about 60% of the images were out of focus. I’m not talking about front or back focusing I’m talking about over all soft focus with NOTHING in the shot sharp. I’m not a weekend warrior who doesn’t know his stuff…wedding photography is my only job and my entire livelyhood. Therefore, believe it or not but I’m discussing lawsuit options with my lawyer against Canon for the 5D Mark II issues especially since they told me the camera was fixed when in fact it was worst in most ways. Not really sure what else I can do…I feel like I’m completely trapped by Canon with a notorious issue they refuse to acknowledge. What drives me absolutely nuts is that people at receptions hand me either point and shoot cameras and they lock focus on the first shot. My 5D Mark II I have to look like an idiot and take 5 shots of the same thing and pray one of them turns out…you wouldn’t believe how many key shots I’ve missed because of this focusing issue. Artificial sharpening has become a must have to “fake” a shot and pray the bride doesn’t notice. This is no way to live. I’m a professional photographer as well and continue to have horrid experiences with the 5d MKII AF system. The micro adjustments help marginally, but not enough to correct the issue and only in controlled shooting environments i.e. when you’re testing it out and fine tuning. Take the Canon 5d into the field and it is a liability. The AF is painfully slow to lock on. I’m constantly swaying the AF points b/n contrast areas hoping to lock into something just to allow me to fire the shot. Regrettably, I am often unable to capture the moment because I just can’t lock on. Moreover, I’ve recently had the shutter not function at all -meaning it wouldn’t even try to engage the AF or exposure meter or anything w/out first switching into Menu mode then back into shooting mode -WTF! Really Canon! Essentially, this issue renders the camera useless for event photography and exposes the photographer to major liability. It is downright dangerous. I am seriously wondering if the problem lies in the lack of a dual processor. Like I said, I’m not only seeing soft focus but extremely slow and problematic AF locking. I just picked up the 5D a few months ago and haven’t spoken to Canon yet, but if what so many other people are saying about them putting on a show acting surprised about the issue and hoping to brush it aside, then they can just say good bye to their reputation right now. Long gone are the days where ad campaigns can confuse people into buying products. People will now have access to honest reviews and listen to the pros.